The University of Michigan's Health System states children should begin to sleep in his or her bed between the ages of two and three. Is your child bombarding you at night because he is frightened? Confront his fears and discuss the problems and questions he may have. As a child, it is overwhelming to be alone for so long, especially in the dark, so continuously talking him through it may be a worthwhile routine before bed. Monsters are a common worry amongst the little ones, so instead of just insisting there isn't any, try something new! 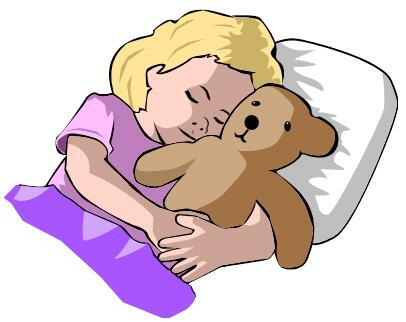 Comfort can be found is a variety of different ways, stuffed animals placing first in children's favorites. Provide them with a stuffed animal to cuddle up with and maybe even a flashlight or nightlight by their bed just in case. A clever idea is also putting a spray bottle on their bed side, as if it were monster repellent. Assure them there are no monsters under their bed or in the closet, but if he were to spot one, just give it a spray! It is going to be a difficult transition from your bed to a big bed of their own. This should be a gradual process, step by step, inch by inch. Start by climbing in bed with them, in their bed, and leaving once they fall asleep. As the nights progress, spend less and less time comforting them to sleep. Eventually, they will learn how to fall asleep on their own without fears or concern.